Hubble shows the spiral galaxy NGC 5714 about 130 million light-years away in the constellation of Boötes (the Herdsman). 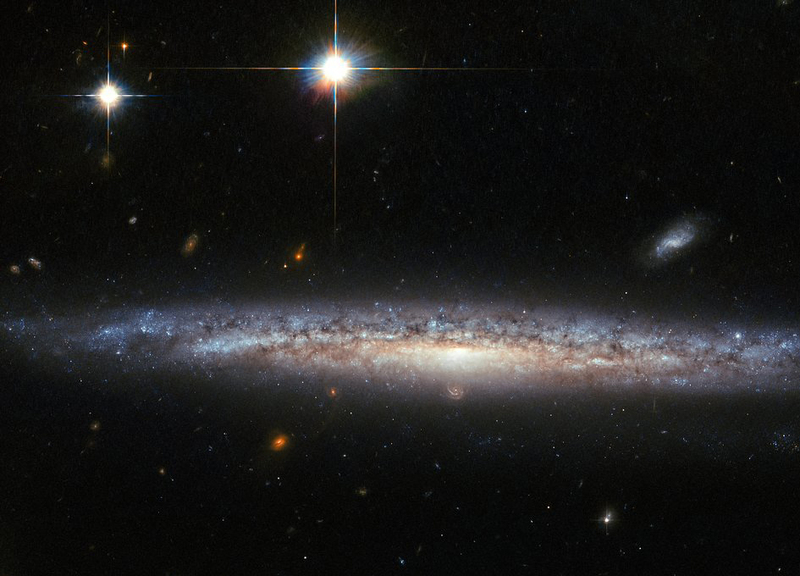 Its spiral arms are hard to see as NGC 5714 presents itself at an almost perfectly edge-on angle. Discovered by William Herschel in 1787, NGC 5714 was host to a fascinating and rare event in 2003. A faint supernova appeared about 8,000 light-years below the central bulge of NGC 5714. Supernovae are the huge, violent explosions of dying stars. It was particularly interesting because its spectrum showed strong signatures of calcium.